Here is a summary of things I have invented and, in many cases, co-invented. Written mainly as an aide-memoire, since I'm getting more forgetful these days. A Valve Oscilloscope based on National Coal Board surplus cathode ray tube, ~1970. HiFi amplifier based on Sinclair Project 60 kit modules, ~1972. HiFi record player based on separate components: turntable + SME series II tonearm, ~1976. Nightmare alarm: a device for alerting carers when a sleeper is having a nightmare. Design undertaken for sleep researcher Keith Hearne, Hull University, ~1980. HullForth: A Forth programming environment for the NASCOM (Z80) computer, with Peter Cain, 1981. Z80 8-bit Microcomputer: designed and hand-built from scratch, initially with a custom designed mini-cassette file storage system and home-brew command and file O/S, then upgraded with a hand-designed floppy disk-drive controller and custom written BIOS to run CP/M, 1978-1984. Symbolic cross-assembler for the Plessey MIPROC-16 TTL minicomputer, written in Algol-68, ~1980-82. Basic Interpreter for the Plessey MIPROC-16 TTL minicomputer, ~1980-82. 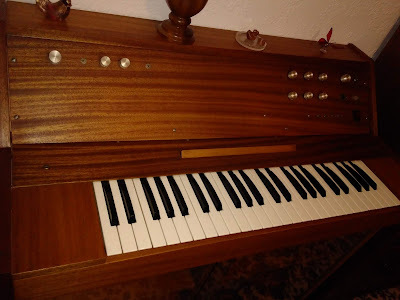 Electronic organ: designed and built for my Dad, ~1980-1984. Design for a Stack-based processor architecture, with Rod Goodman, 1980-1984. Note credit also to Fred Homewood for building the first working prototype while a student at the University of Hull. US Patent no 4974157 granted 1990. New algorithms for decoding error-correcting codes: research for PhD: 1978-84. PhD advisor Rod Goodman. The Metaforth MF1600: A single board stack based minicomputer, with Martin Worrell and the engineers of Metaforth Computer Systems Ltd (now APD Communications Ltd), 1985. The LinuxBot: A wireless networked mobile robot for mobile robotics research, with Owen Holland and Ian Horsfield, 1995-2000. The Micro LinuxBot: (probably) the world's smallest Linux robot at the time, based on the DIMM PC module, 2001. A brush system to allow mobile robot to re-charge from a powered floor, with Bob Channon. Patent application 2001. Adaptive foraging. A method, co-invented with Wenguo Liu, for allowing a swarm of foraging robots to adapt their behaviour to optimise energy use depending upon the amount of food in the environment. Wenguo experimentally tested this method, as well as co-developing a mathematical model for it, extending the approach used to model the wireless swarm, 2006-2010. The Consequence Engine. A method for using a simulation-based internal model to demonstrate simple ethical behaviours in robots. The method was experimentally tested by Christian Blum and Dieter Vanderelst. The same approach was also used to show how robots that can anticipate the future can be safer than those that cannot. 2014-2018. Story-telling robots. An embodied computational model of story telling, based on the consequence engine. This is yet to be experimentally tested. 2016-2018.